Fully Automatic! With Broom-High Base! Houses that have changed hands multiple times since their original owners don’t often have too many visible traces of the early residents’ daily lives there. Sometimes there’s a hidden area – inside of a closet, behind kitchen cabinets – showing an old paint color or wallpaper pattern. Sometimes you’ll find pieces of broken china, glass, ash, and bone fragments in the garden from household trash dumps made before regular municipal garbage collection. Most of the time, though, places have been scrupulously cleaned between occupants, painted, and updated to appeal to modern buyers and renters. 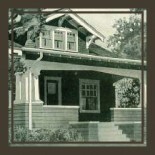 Even when period details in homes are restored to look consistent with the home’s original style of construction and decor, those restorations don’t necessarily reflect the ways that a house was really *lived-in* in the past. That’s why I was excited to see this old refrigerator in the basement of a San Francisco Mission District home that I recently studied. dishes… You are cordially invited. This educational promotion reminded me of my grandmother, who always included three elaborate jellied salads in her “traditional” Ukrainian-Canadian 12-course Christmas Eve dinner. While prepared fresh every year (or at least I think so…) each of these jellied salads was an artifact of the era in which my grandmother added “modern” cooking skills to those from her ancestors. 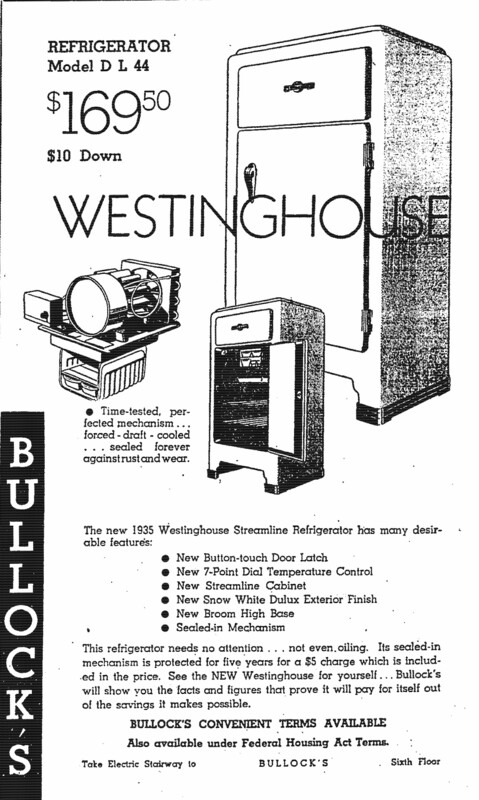 If original to the house, the refrigerator was likely purchased by John and Tessie Boland, who owned the home between 1926 and 1956. John was a laborer – more specifically, in the late 1940s a “hod carrier” for the San Francisco Buildings and Public Works department. His income was supplemented in 1932 by two boarders – the only year on record during which renters lived with the Bolands in their upstairs unit. 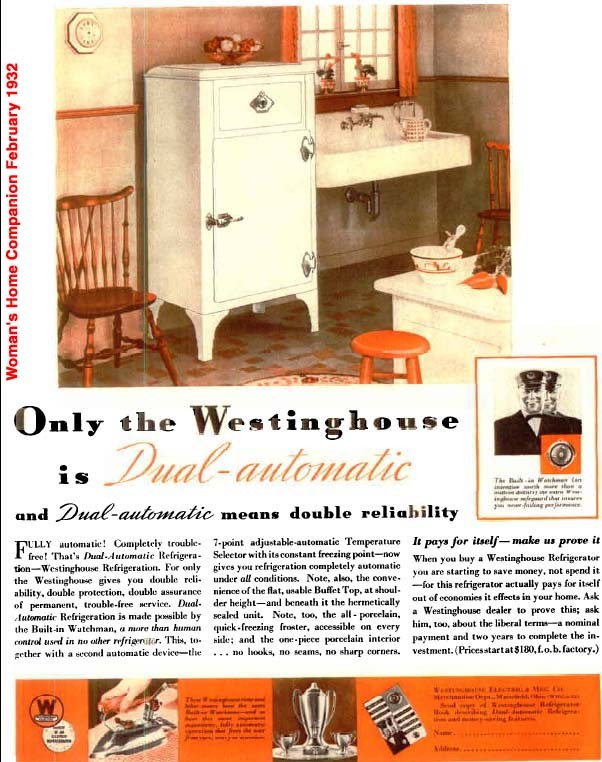 I wonder if the income from these two temporary occupants’ rent was more than the Bolands needed to offset Depression-era economic troubles, and helped to fund the purchase of this new household convenience. 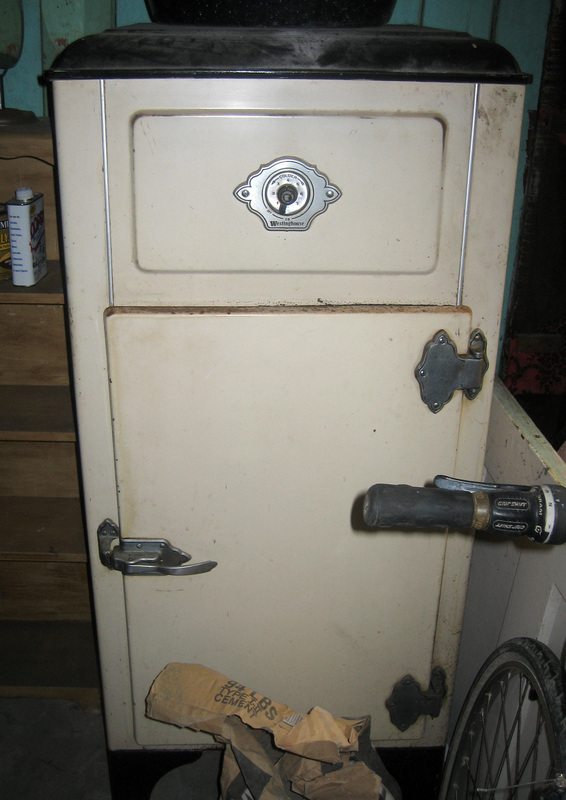 Of course, the provenance of this appliance might be completely different – it could have been an extra fridge brought in by later owners of the house, used when they were entertaining – or even the beer cooler for the internet startup/collective who held regular dinner parties in the house in the mid 1990s. Nonetheless, it’s a material reminder of daily works, developing technologies, and changing tastes in the life of this house. This entry was posted on January 17, 2012 by StacyK in Uncategorized.